Is Data Sharing Having an Impact on Climate Change? - FTS Inc.
Home Is Data Sharing Having an Impact on Climate Change? Guidelines: the executive departments of involved agencies integrated data sharing policies under the leadership of NOAA. Outside Research: Federally funded independent researchers must practice according to departmental data sharing policies. Notification: A notification system was developed for participating researchers and departments to know when data had been archived. Transparency: An online, open forum, wiki-type platform was created that can be edited by participants as new, relevant data becomes available. Public Announcements: Led by NASA, a Global Change Master Directory (GMCD) was created and is updated with descriptions of any relevant data sets (averaging 3,000 new entries annually). Competition: Led by NSF, protection guidelines are in place for high value data collected and shared by researchers funded by grants. Review: Policies developed to consider quality of past shared data and proposed data sharing plan when reviewing applications for grant awards. Perhaps the most significant indicator that data sharing is leading to success in addressing the issues of climate change is The Paris Agreement. Ratified by 84 participants of the 197 parties who attended the convention in December, 2015, these signatory nations have committed to adaptive measures that will mitigate the effect of greenhouse gas emissions around the world. Investment: To accelerate transition to clean energy the U.S. will provide funding and investment in the private sector for the development of clean energy technologies. Sustainability: In cooperation with the Copenhagen Accord the U.S. will dedicate a $1 billion contribution to assist developing countries in creating strategies for sustainability in the use of agricultural lands and forests. Resilience: The U.S. will commit to financing initiatives to assist vulnerable populations in reducing the impact of climate change. The United Nations Climate Change Secretariat provides an online link to monitor the progress of the mandates ascribed to in The Paris Agreement. Color coded for convenience, it is easy to see that the majority of the measures are ongoing or still being negotiated. However, with a timetable of 2020 as the target year for full implementation of measures, it is no surprise that most of the measures are not yet finalized. The WaterSense program reported it exceeded its goal of conserving 1 trillion gallons of water. Expansion and acceleration of wetlands, watershed, and coastal estuary protection programs. Integrated protection of aquatic life as part of the national water quality program. This will effectively manage streamflow disruptions that could pose a threat to the sustainability of dependent aquatic life. Launch of mobile app program for handheld devices enabling a network of citizen observers to assist in monitoring natural resources. 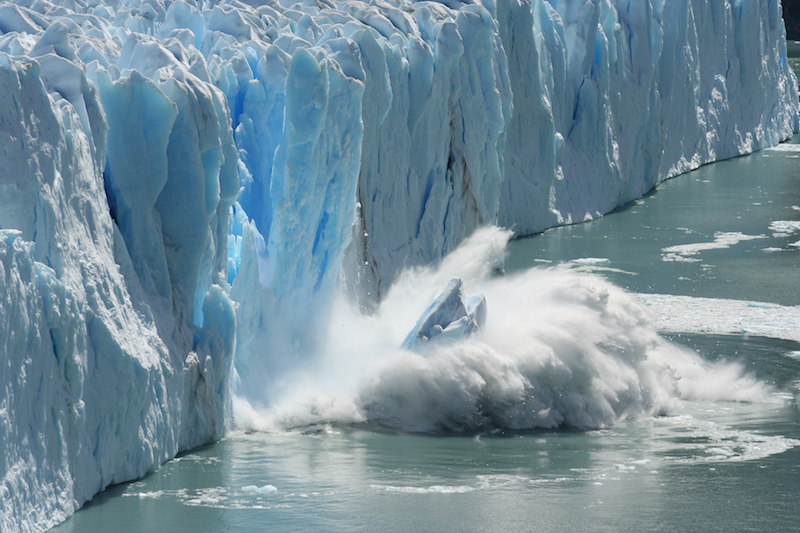 With the global mobilization of interdisciplinary sciences sharing climate change-related data, heightened awareness of the effects of climate change has resulted in a concerted worldwide effort to bring about positive results. Although bureaucracy often causes change to progress at a snail’s pace, by providing the public with easy access to information, as well as creating programs designed for citizen participation, everyone can find ways to contribute on the local level. That may be the key to beginning a cascading event of rapid and significant change as a result of data sharing. FTS is a manufacturer of environmental monitoring solutions for more than 35 years. We build the data collection equipment that enables agencies to track and record changing climate and put the implications in context. Contact us to discuss how we can help collect hydrological, fire weather or meteorological information that matters to you.